A multi-player server on the wildly popular video game Minecraft has introduced bitcoin to its world as a way of teaching children about digital currency. While in-game currencies exist in several different minecraft worlds, using bitcoin means that players can take their money out of the game and use it in the real world too. The server, PlayMC, features an in-game currency called ‘bits’ which the company has set at 100,000,000th of a bitcoin (commonly known as a ‘satoshi’). The unit was chosen for its ease-of-use, as it represents a whole unit and allows players to be rewarded seemingly on a larger scale. With additional opportunities for players to spend their bits on classes, items and other additional content within the game, PlayMC says it provides a “safe gaming environment for kids to enjoy and have the opportunity to earn their own money”. As the third best-selling video game of all time, Minecraft has sold over 60 million copies. Especially popular with younger people, it allows players and game developers to build worlds from 3D blocks not unlike digital Lego. Everything in the game is based on these blocks, which can either be destroyed or moved and placed to create anything within a player’s imagination. It is an open-ended world with a high degree of flexibility as to what is possible, though some elements of the world are consistent across the different games. Players can play alone or connect to servers like PlayMC, allowing multi-player games and interaction in the online world with thousands of other players. Plugins allow game creators to determine the nature of play and objectives of the game, which usually involves players acquiring resources in order to build tools and structures, and sometimes fight off enemies. PlayMC’s server has plugins that change the main Minecraft game into mini-games, where players either cooperate or fight against each other to win. Each game has different objectives and different ways for players to earn their bits. As well as awarding bits for standard play actions like kills and wins, PlayMC also allows its players to earn them for winning tournaments and powerups, and in non-game actions like bug reporting, blog post writing, bounties, and acting as server staff. No parents had yet approached the company for more information on bitcoin but plenty of young players have been actively trying to understand digital currency, the spokesperson said. Most of the team’s time is now spent clearing up misconceptions about bitcoin and providing links that explain bitoin in simple terms. PlayMC also has an extensive explanation of bitcoin and its in-game ‘Bitconomy’ on the company website. PlayMC follows in the footsteps of other bitcoin-oriented Minecraft servers such as BitQuest, though PlayMC is aimed specifically at children. One of bitcoin’s touted advantages is the way it provides access to electronic payments to those under 18. Children generally have restricted access to banks or credit card accounts. Of course, anyone wishing to turn their bits into fiat currency will still need to go through a bitcoin exchange, which have similar verification requirements to banks. This could actually promote a bitcoin-based economy by engaging users who can’t easily escape it. PlayMC was founded from a partnership between AcroMedia and developer Brandon Gordon, the latter of whom has been involved with Minecraft for five years and bitcoin for three. Given his personal interests, incorporating bitcoin into the game “seemed like a no-brainer,” he said. 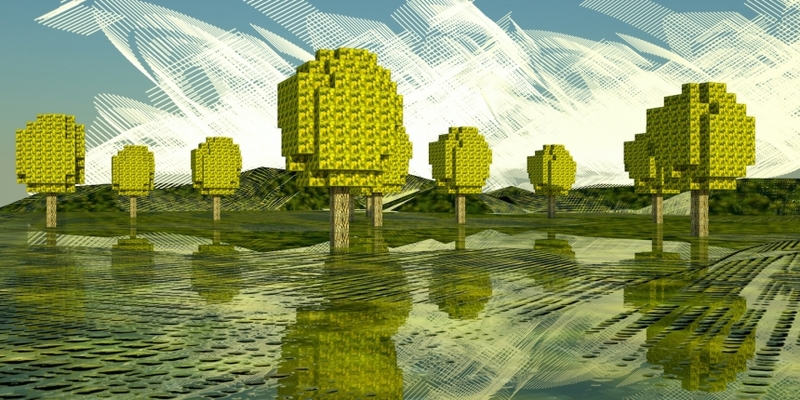 The server was founded to introduce new levels of reliability to Minecraft, which often have an ‘anything goes’ reputation and servers come and go with regularity. It boasts 99.9% uptime and is regularly updated to the latest Minecraft version. Its community is always able to make suggestions and the focus is being as kid-friendly as possible.